Summary: As younger customers are drawn to new technologies, your bank will want to stay in the loop. We have an update for you. Now we have seen it all. 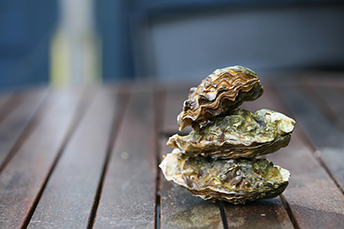 A French restaurant has reportedly installed vending machines that can spit out oysters for hungry customers 24 hours per day, 7 days per week. Our issue isn't the attempt at customer service, but rather the simple fact that no matter how much you love oysters, we have to think that machine would stink over time. We also wonder how people will be able to shuck those oysters with the plastic utensils they likely brought along for their late night picnic. Banks are constantly experimenting with things to try and attract and retain younger customers. We don't know if an oyster inside an ATM idea is any good at doing this, but if you try it out, please let us know. Contactless Payments: This is one area where banks around the world are focusing efforts. While contactless payments are not as prevalent in the US as abroad, adoption is expected to grow over time. It seems likely that contactless payments will continue to gain momentum as the technology is introduced more broadly in the US by larger banks that is already underway. Perhaps assisting in adoption of bank services in this area, other contactless things outside the industry are also underway that will serve to teach people about the technology. For instance, starting late this year, New Yorkers will pay their subway fare by waving cell phones or contactless credit or debit cards at turnstiles in the subway or fare boxes on buses. Wearables: A number of banks globally are also getting more creative in the wearables space. British bank Barclays recently struck new wearable deals for contactless jewelry and watches that it intends to use as a delivery channel for its bank services. First introduced in 2015, Barclays has developed proprietary software that turns a number of wearable devices, including loops, wristbands and fobs into payment mechanisms. Meanwhile, Dutch bank ABN Amro is rolling out wearable technology in a live trial using a range of wearable devices. These include such things as a ring, watch, bracelet or keyring. Here too, customers can use wearables to make contactless payments. In another example, Visa is using the upcoming Olympic Games in South Korea to debut payment-enabled gloves, pins and stickers that allow consumers to make secure payments with a simple tap. Biometrics: This also continues to be an area of focus for bankers. Visa has initiated pilots with Mountain America Credit Union and Bank of Cyprus for a biometric payment card. It will use fingerprint recognition instead of a PIN code to authenticate cardholders. When customers place their fingerprint on the sensor, a comparison is performed between the scan and the reference biometric data securely stored in the card. If they match, the payment is made. In a recent survey, Visa found consumers continue to have a strong interest in new biometric technologies. Notably, 86% are interested in using biometrics to verify identity, or to make payments, and more than 65% are already familiar with biometrics. Now you know the latest status of some technologies bankers are playing with globally. To decide which ones make sense for your bank, you may want to start by talking to younger employees and customers to see what they like and why. Then you can decide whether to add such things to your product suite and delivery methods, as you ponder hiring oyster shuckers to work alongside the barista's serving coffee in some branches. According to a FS-ISAC survey of information security officers, the best ways to combat cyber-attacks are: employee training (35%), network defense and upgrades (25%) and breach prevention (17%). Accenture reports that the average number of annual financial firm cyber breaches is up 10% compared to a year ago and 40% compared to 3Ys ago. According to the survey, financial companies withstand an average of 125 breaches annually, costing approximately $18mm per year. The latest Bank Director M&A survey finds 77% of those surveyed say they do not plan to sell their bank by the end of this year and only 1% say they are actively seeking an acquirer. The rest either said they were open to selling but had not been offered a fair price (18%) or were considering a sale or had entered into an agreement with another bank (4%). The general manager of the Bank for International Settlements (BIS) said bitcoin and other cyber currencies are "a combination of a bubble, a Ponzi scheme and an environmental disaster." This is significant because the BIS is the global regulatory body for bank and securities regulators worldwide and helps set regulations.